"On all your Windows computers, install PasswordSafe. […] Store the file in your DropBox folder." 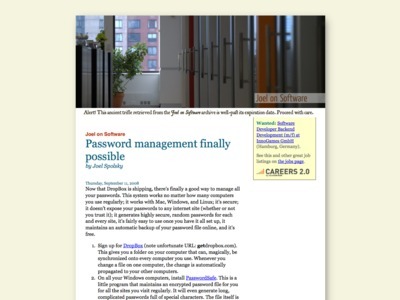 On the Mac, you can use either Password Gorilla or PasswordSafeSWT.